Sprout Therapy Services exists to provide hope for kids, when speech and language doesn't come easy. 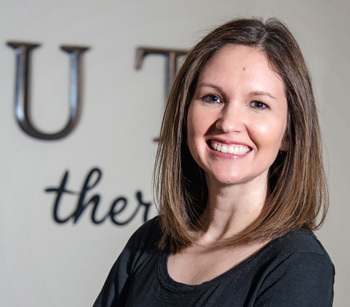 Rikki, the founder of Sprout, has over eleven years experience as a pediatric speech-language pathologist. She has worked with children in school, clinic and home settings. Of course, helping kids with speech or language problems involves more than the therapy itself. As a mom of three, Rikki understands therapy from a parent's perspective and seeks to serve the whole family. Rikki earned her ASHA Certificate of Clinical Competence after completing her MA in Speech-Language Pathology from the University of North Texas and is licensed to practice in Colorado. Rikki is one of only a few therapists in Colorado with specialized training in Orofacial Myofunctional Therapy. She received her training in OMT from the prestigious Coulson Institue: an International Association of Orofacial Myology (IAOM) certified course. Health First Colorado (Colorado's Medicaid Program). Insurance does not always offer adequate coverage for speech therapy. We have created this worksheet to help you determine if your health plan will cover speech therapy. We strongly encourage you to use this when calling your insurance company, it will help avoid possible problems. Give us a call or email for our current private pay rate: 719-999-8417.